With the explosive growth of the Word Wide Web, information overload became a crucial concern. In a data-rich information-poor environment like the Web, the discrimination of useful or desirable information out of tons of mostly worthless data became a tedious task. 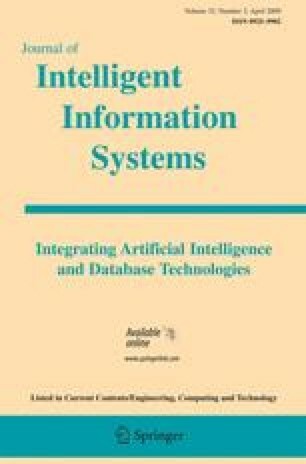 The role of Machine Learning in tackling this problem is thoroughly discussed in the literature, but few systems are available for public use. In this work, we bridge theory to practice, by implementing a web-based news reader enhanced with a specifically designed machine learning framework for dynamic content personalization. This way, we get the chance to examine applicability and implementation issues and discuss the effectiveness of machine learning methods for the classification of real-world text streams. The main features of our system named PersoNews are: (a) the aggregation of many different news sources that offer an RSS version of their content, (b) incremental filtering, offering dynamic personalization of the content not only per user but also per each feed a user is subscribed to, and (c) the ability for every user to watch a more abstracted topic of interest by filtering through a taxonomy of topics. PersoNews is freely available for public use on the WWW (http://news.csd.auth.gr). This work was partially supported by a PENED program (EPAN M.8.3.1, No. 03EΔ73), jointly funded by the European Union and the Greek Government (General Secretariat of Research and Technology/GSRT).